Performing a wide array of field services, that include equipment surveys, inspections, maintenance reviews and technical support. James provides in-depth evaluations of mechanical, hydraulic and electrical components pertaining to elevator systems. James recently earned his Master in Business Administration degree from Western New England University, in Springfield, MA. 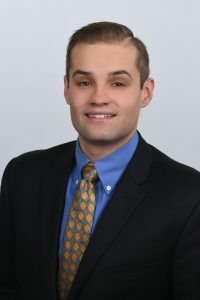 James DePasquale is a graduate of the Pennsylvania College of Technology Bachelor of Science Manufacturing Engineering program. The Manufacturing Engineering program had a strong emphasis on manufacturing processes, automation integration, and production of metals-oriented products. James received both hands on experience and theoretical knowledge of artificial intelligence software, hydraulic power systems, industrial motion control electronics, conventional machining and CAD/CAM manufacturing processes and lean manufacturing practices. James has also performed economic justification of engineering projects, replacement analysis of existing projects or capital assets, and economic comparison of alternative projects. Developed new techniques and methods to improve processes utilizing new innovations and technologies for nonferrous metal refinement. Performed external and internal sales focusing on increasing material purchasing and new equipment sales acquisition. Engineering trainee developing new production techniques, equipment operation procedure and storage organization for sheet metal manufacturing. Created new employee training quality guidelines, categorized and completed Job Hazard Risk, while increasing safety and reduced hazard risk potentials for sheet production area. Manufactured products for the aerospace industry, military contracts and the private industry sector. Experienced in operating both CNC or manual mills and lathes, while performing testing and machine calibration operations.